Thanks to the remarkable water tank and stainless steel boiler capacity, you'll never have to worry about running out of steam while using Stiropiù and you can iron for long periods without extra supplies of water. When the water level in the tank is too low, it is not necessary to wait for the boiler to cool down but, with the innovative continuous steam generator system, you only need a small top-up to continue ironing freely, thus reducing the time and saving money. 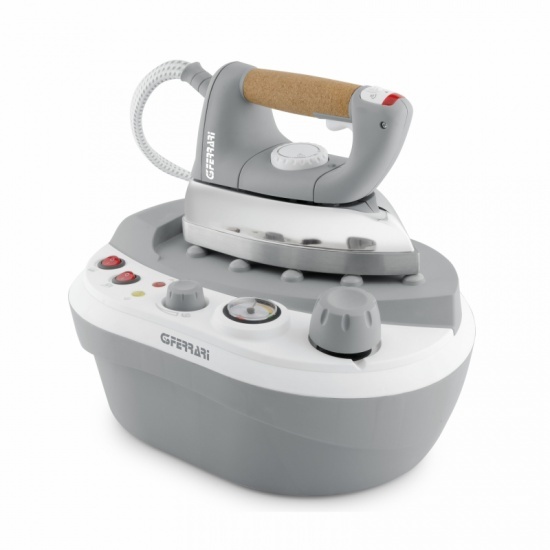 Featuring an Anti-Calc system easy to use and practical operating, steam ready and temperature control lights, the ironing system Stiropiù provides outstanding performance with every fabric and against stubborn creases. Fill out the form below to request information about: Stiropiù - G40011.